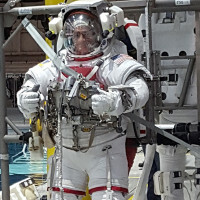 Sending soldiers into space may seem unusual for an Army that conducts a large part of its missions on the ground, but during the next two years NASA's International Space Station will have at least one active duty or retired Army astronaut on board. 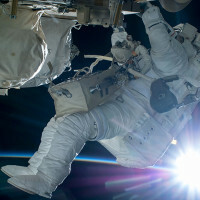 More than 18,300 people applied to join NASA’s 2017 astronaut class, almost three times the number of applications received in 2012 for the most recent astronaut class, and far surpassing the previous record of 8,000 in 1978. 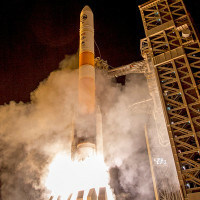 A pillar of orange fire rose into star-spangled, velvet-black skies over Vandenberg Air Force Base, Calif., in the predawn hours of Feb. 10, heralding the deployment of a new National Reconnaissance Office satellite. 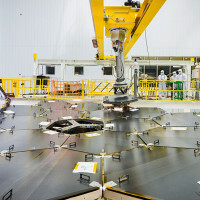 The 18th and final primary mirror segment is installed on what will be the biggest and most powerful space telescope ever launched. The final mirror installation Feb. 3 at NASA's Goddard Space Flight Center in Greenbelt, Maryland marks an important milestone in the assembly of the agency's James Webb Space Telescope. 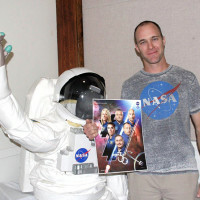 NASA Armstrong Flight Research Center Office of Education held a workshop at the Aero Institute in Palmdale Calif., recently to help teachers from across the Antelope Valley bring the adventures of space into the class room. 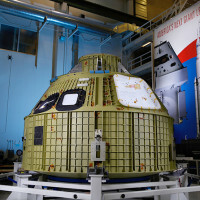 The Lockheed Martin and NASA Orion team has secured the 2,700-pound Exploration Mission-1 Orion crew module into its structural assembly tool, also known as the "birdcage."